This guide will walk you through the steps involved with streaming digital tv over a network. 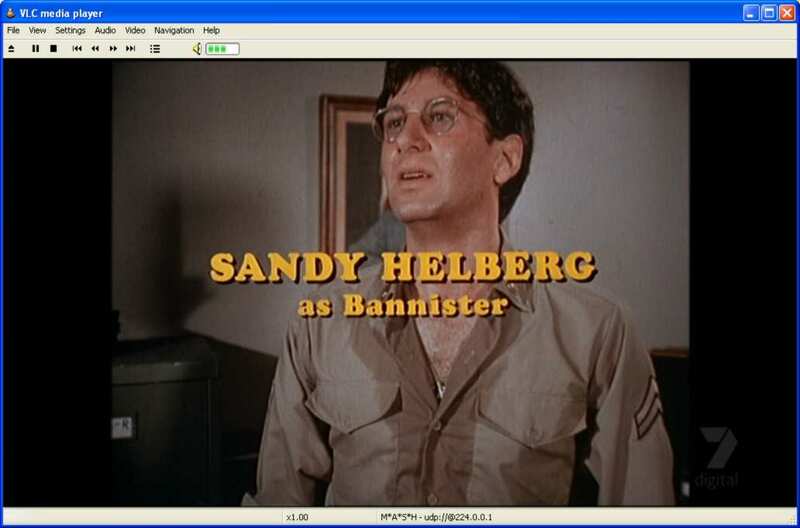 Please note, that you MUST use the version of Webscheduler I have referenced above. 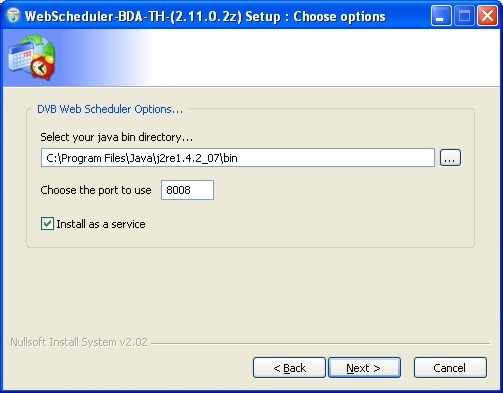 First, you must install Java, and when you have download and install Webscheduler. Follow the prompts, and when asked choose a port you with to use to access Webscheduler. 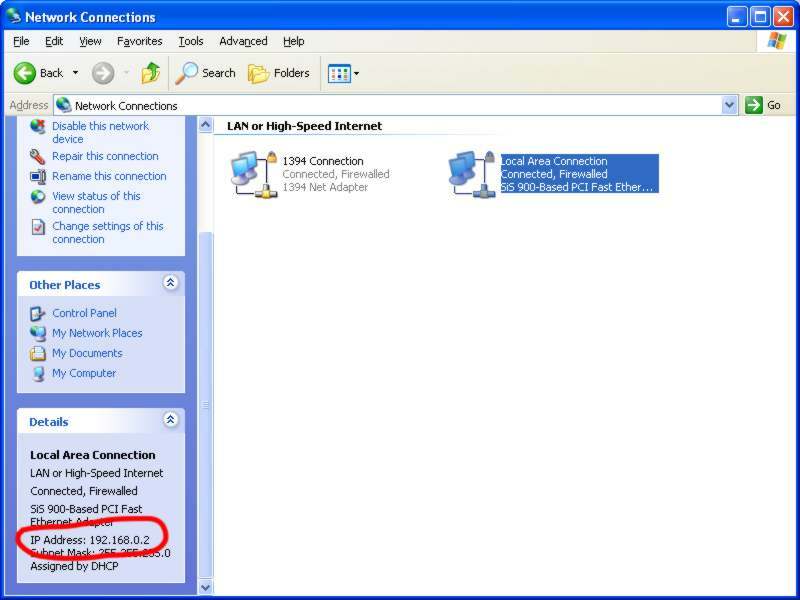 I highly recommend a firewall to block access to this port from the internet. 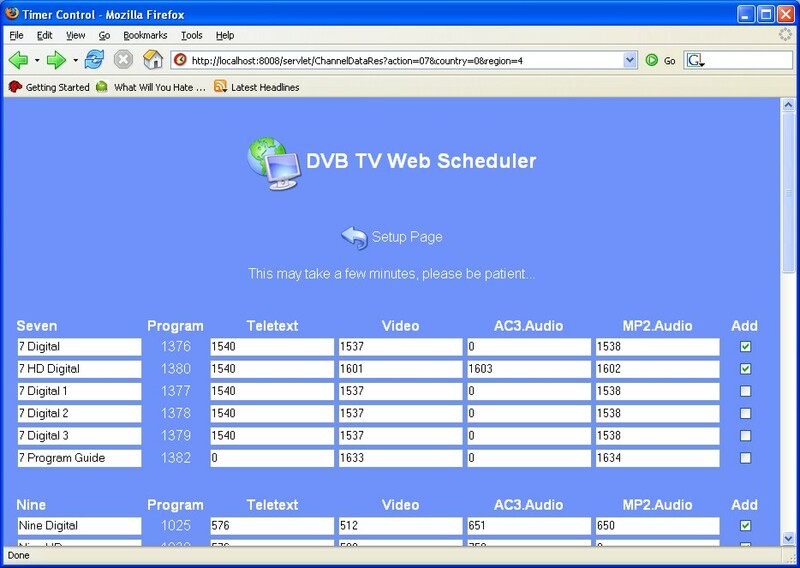 You now need to setup Webscheduler to be able to receive digital tv. 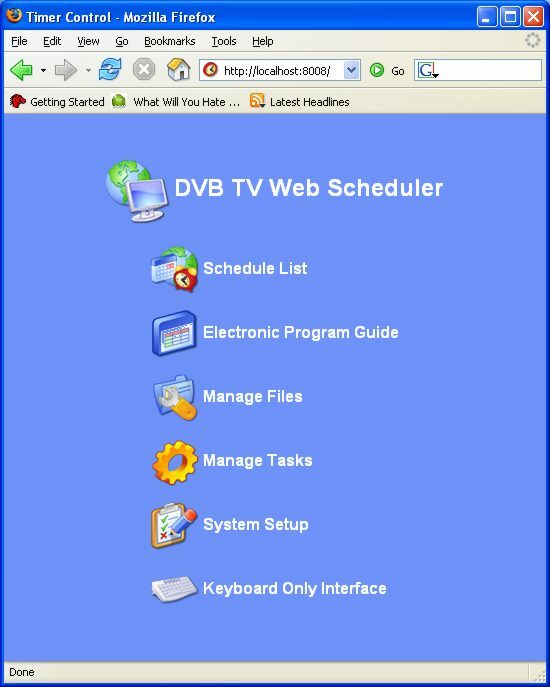 Click on the “System Setup” link, then click on “Card Setup” and make sure your card is in the “current card list.” If it is not, make sure you have the BDA drivers installed correctly, or you have the latest TwinHan DTV-T drivers installed (if you have that particular card). Go back to the Setup page and click on the “Channel Settings” link. Click on “Scan Channels” then Click on your country’s name, then click on your region, then click “Scan All.” After a short amount of time, your tv channels should appear, and click on the check boxes to add them. Click “Add Selected” at the bottom of that page, and then return to the setup page. Click Home and you now have Webscheduler set up correctly. You need to click on the Computer icons to activate the stream. They should light up to show an active stream ( ). Enjoy, I will update if there are any issues. quindi si potrebbe vedere il dtt italiano in streaming ? Ma già lo fanno adesso ?